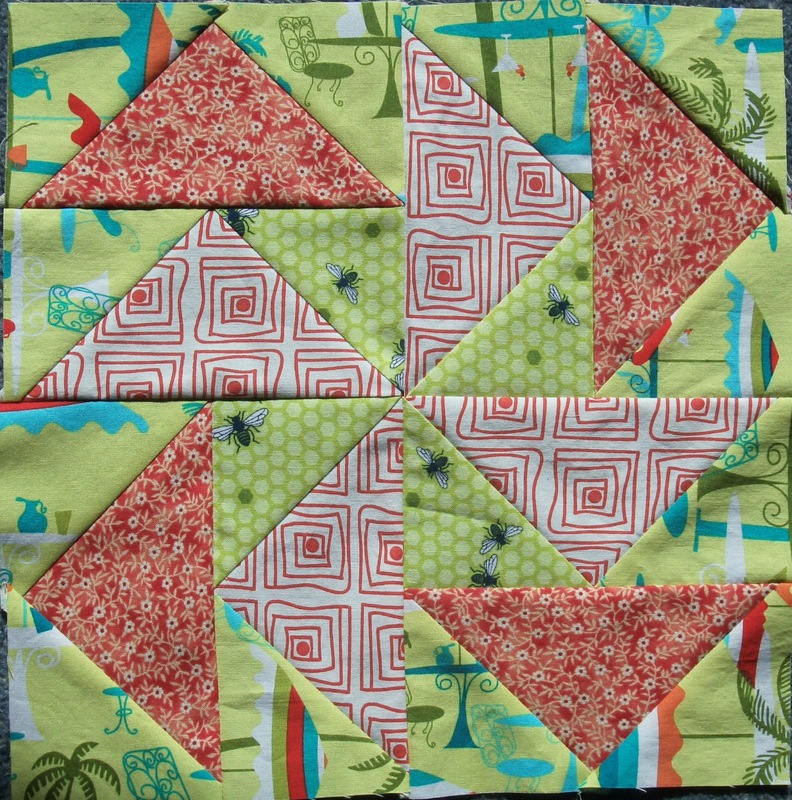 Kitty Cat Quilter: Quick as a fox! 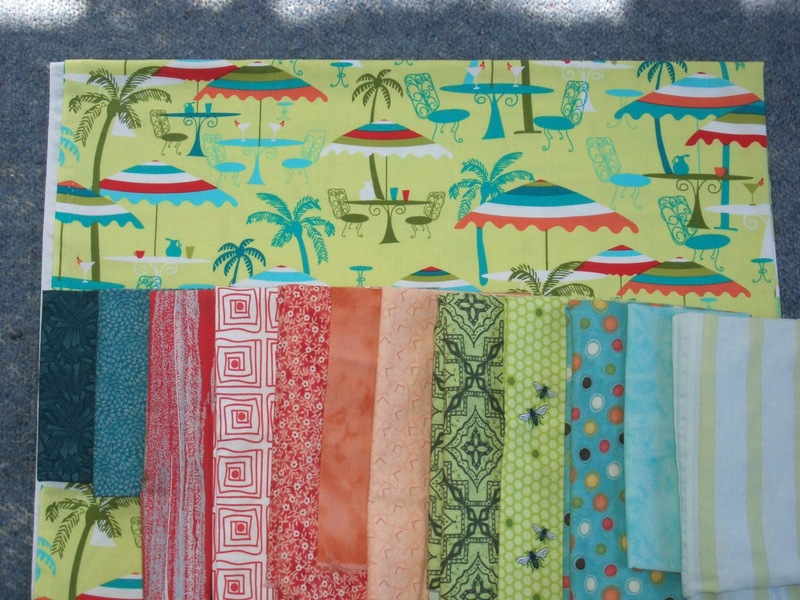 The Sew Along I'm introducing today is by Becky from Patchwork Posse, and it's being hosted by Heather over at The Sewing Loft. 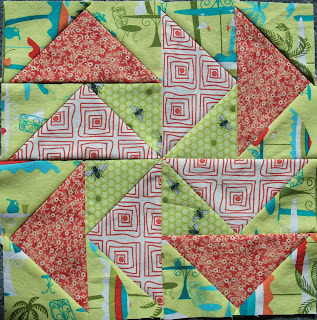 Quick as a Fox is a 9-block sampler quilt, with some interesting blocks and great hints and tips along the way. If it looks familiar, that's because it is. I'm using the same fabric for two quilts; the other I showed you three days ago, the Quilt Doodle BOM Sampler. There's 12 blocks in that quilt, 9 in this one, all 12 inches square, so I'll have enough for a larger-than-lap quilt (sadly, I have no need of lap quilts). Hopefully. If I keep the momentum up, and don't relegate either or both projects to the UFO pile, then I might even make a few extra blocks to go with them. Quick as a Fox runs from 8 January to 26 March, with a new block every week. 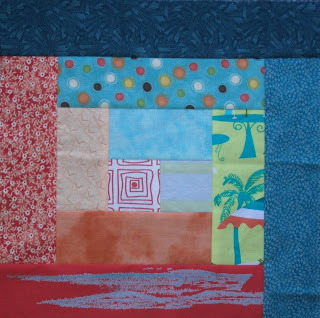 As I write, I'm only two blocks behind; block 3 is cut, ready to sew, and block 4 only came out today, so I don't actually feel I'm behind. Not on this one, anyway!